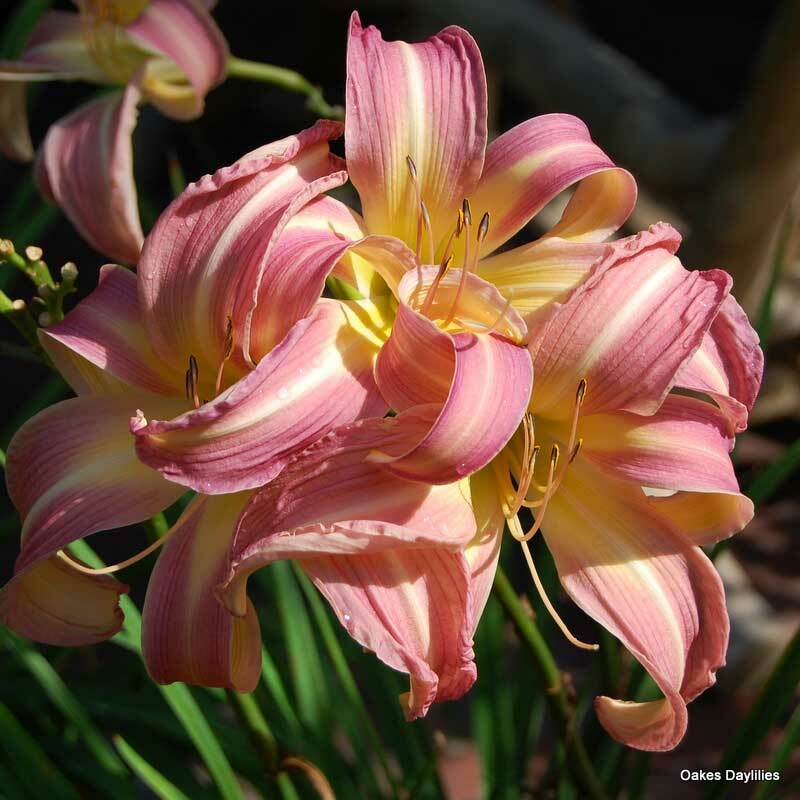 Big, eye-catching blooms held high on tall scapes make a beautiful sight in the garden. A very good grower and bloomer, ‘Lilting Belle’ is one of our favorites. This daylily has me scratching my head. I have had it 2 years and it hasn’t bloomed once. I moved it this fall so I’m still hoping for blooms in 2015. Beautiful large blooms in this fist season. However, the scrapes were only about 10″ tall. I’m hoping next year will be better! Gwynn Oak, Maryland Lilting Belle is my first spider and I just love it. It is blooming now (mid july into early July) on strong. mult- branched scapes. The color Is sweet and soft. Mine is a bit more violet than what these photos show (on this monitor, anyway). Took a couple of years to get to its full height, and now this year IT’S THERE! Lots of blooms, looks beautiful next to magenta garden phlox. Has been blooming for over a week now, and still quite a few buds left to open. 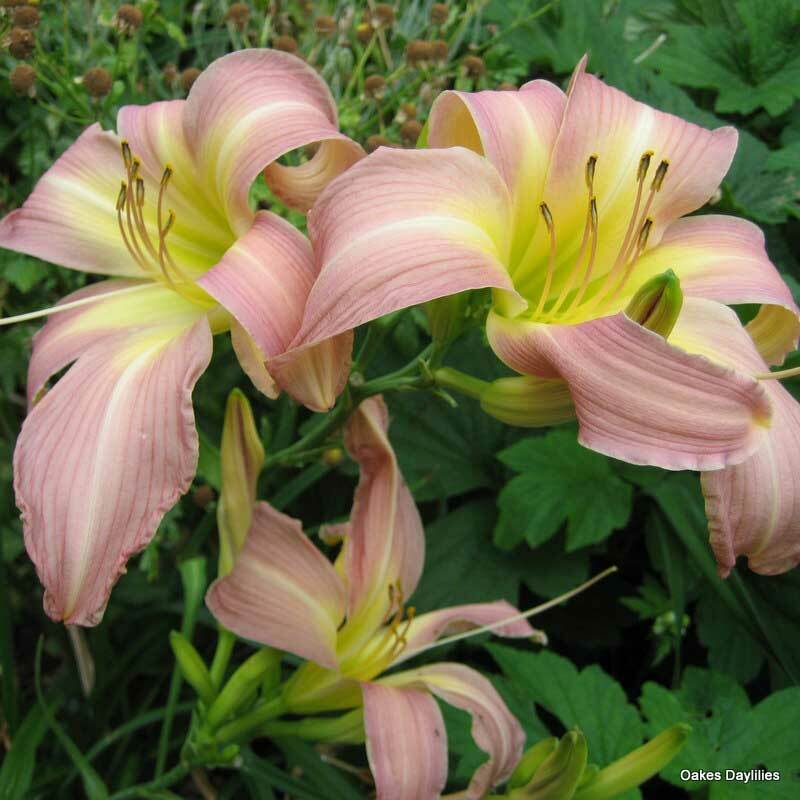 One of the most beautiful daylilies with its delicate, shell-pink blooms. My first year plants had huge blooms…larger than my husband’s hands!!!! 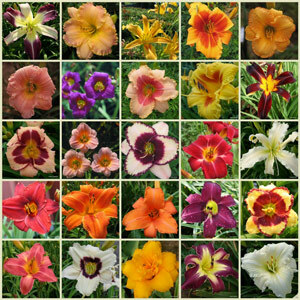 We garden in Zone 5b/6 and Lilting Belle is one of our toughest daylilies; yet, the blooms appear so artistic, delicate and richly colored. The flowers are huge, and bloom ran 2 1/2 months solid this year. To my surprise, our plants are reblooming this year, so total bloom time will probably run from mid-July through the end of September. This plant is a must have if you enjoy lavender blooms. Lilting Belle prolific, gorgeous, This beautiful branching carries my Fall garden every year – blooming for over 2 months. 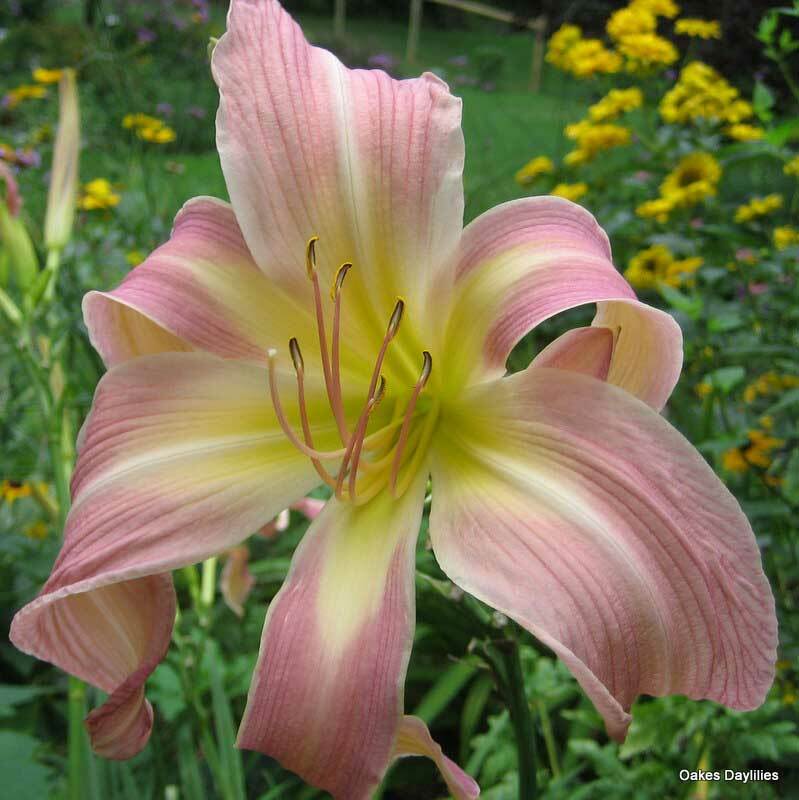 Lilting Belle is a stunning daylily. The soft, pastel color is simply beautiful; much prettier than the camera can show. The scape puts it up high to show off and be admired and enjoyed. This one can hold its own planted with any other. I also like the fact it blooms a bit later, when the most are fading. MUCH much prettier than the picture and makes you stop and just admire all it’s qualities. 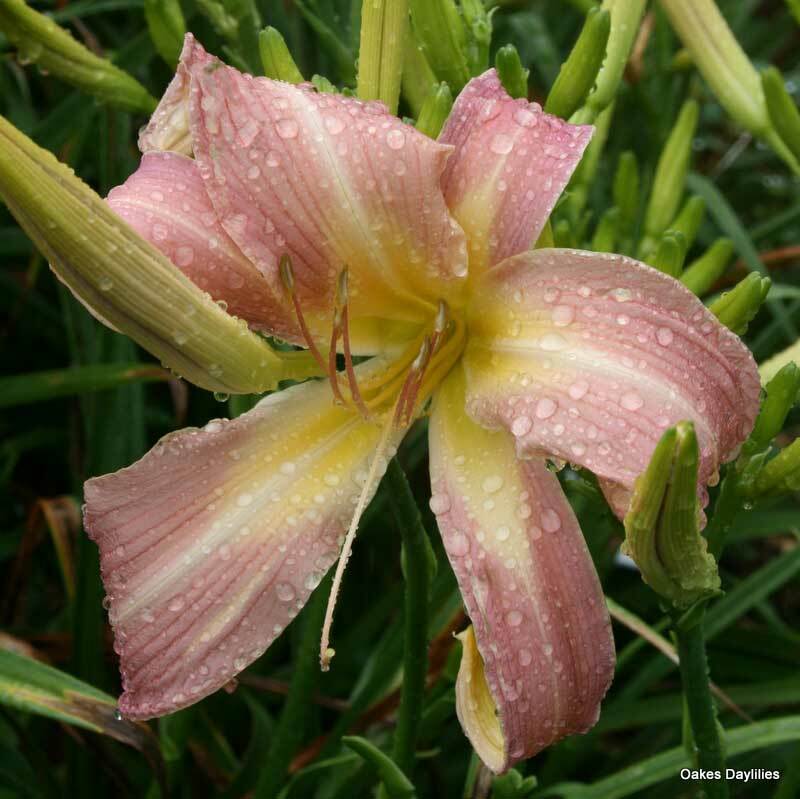 One of those daylilies you wish would defy odds and stay in bloom all summer. Does well all day when put in a bit of water for inside the house. What a delight! In its first year Lilting Belle bloomed profusely. 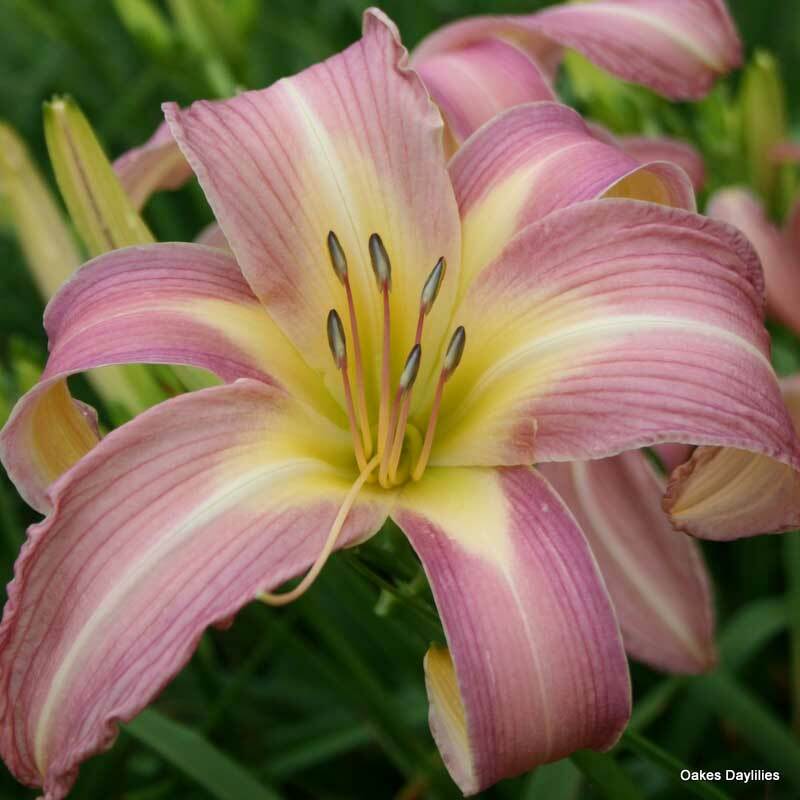 This was sent to me as a bonus plant, and it is a very welcome addition to my daylily garden. Lilting Belle far exceeded my expectations! I planted this daylily a month ago, and walked out today to be greeted by the most beautiful flowers on a plant not over 6 inches tall. I can only imagine what awaits me next year. I have a few of these and they are my latest bloomers but absolutely gorgeous. The blooms are huge and beautiful! I could have a whole garden of them. This daylily is by far the most beautiful in my garden. I love the shape of the petals (as my Mother says, they look like ribbons) and the colors are fantastic. And the blooms are large on good strong scapes. I just wish I had purchased more of this variety. A “two green thumbs up”!! This is absolutely gorgeous. Our bedroom overlooks our garden and the morning that these first bloomed, my husband actually came to breakfast and said “Did you see those flowers? !” The flower is huge. 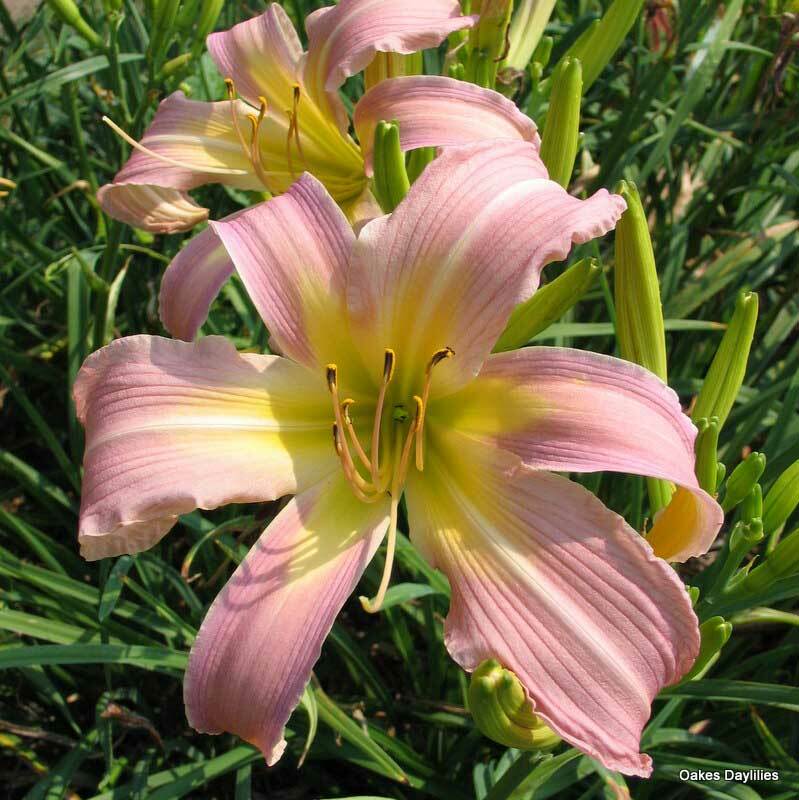 It is a beautiful color of pink with a tint of yellow in the center. Highly recommend this one! Also, I just planted these this summer so I can only imagine next year! I got this for my Mother-in law for her birthday last year,but it didn’t bloom.So we had to wait till this year,and boy has it made us wait…it’s just now blooming,but oh my gosh was it ever worth the wait it’s drop dead gorgeous!It’s blooms are huge spidery like,a pretty lavender color with a good size eye that’s a pale yellow.Very showing in the garden.If you want a nice spider daylily this is the one to get.